OWASP Top 10 that represents a broad consensus about the most critical security risks to web applications lists Injection attacks as one of the Top 10 web application security attack. Attackers use code injection techniques such as sending inflated messages or deep nested requests to consume API server memory resources making the server unavailable. 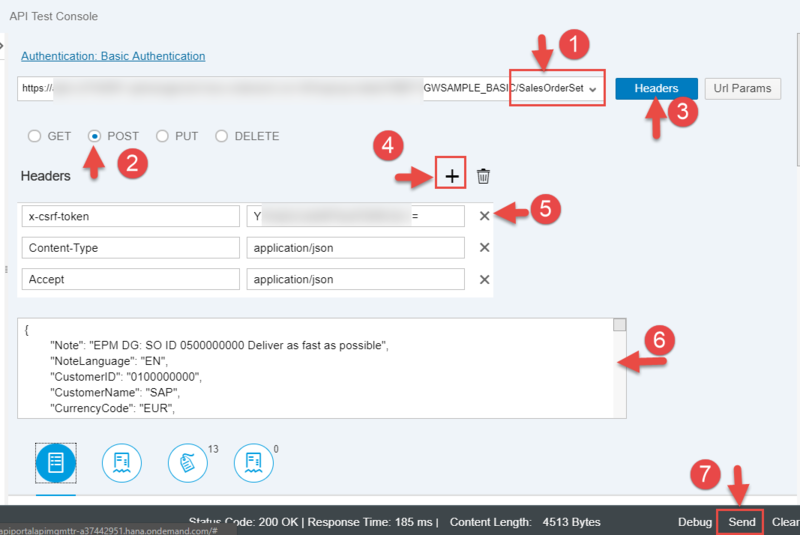 JSON Threat Policy from SAP API Management can be easily added to any API to comply to the security rules for input validation that is listed in OWASP security checks to mitigate injection attacks. 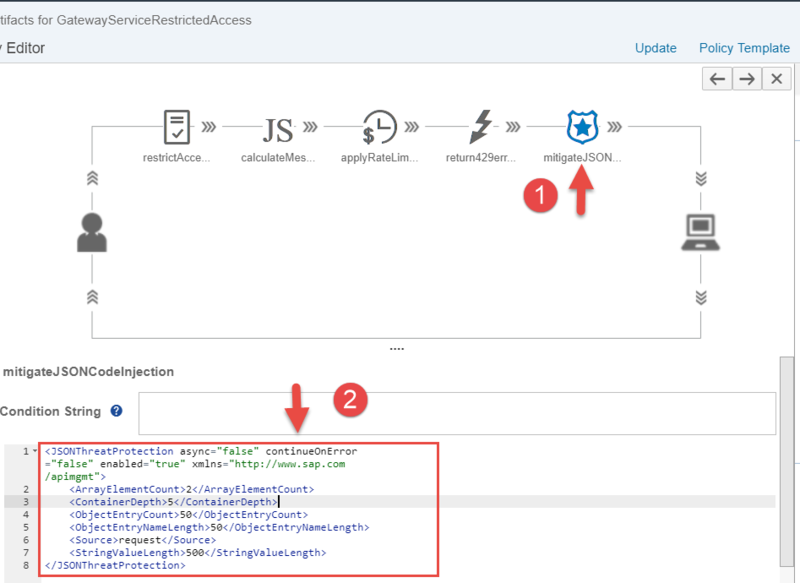 In this blog we will use JSON Threat policy to specify limits on incoming request body such as the maximum number of elements allowed inside an array, maximum depth of JSON object, maximum numbers of properties allowed in an object for a REST/ OData API. 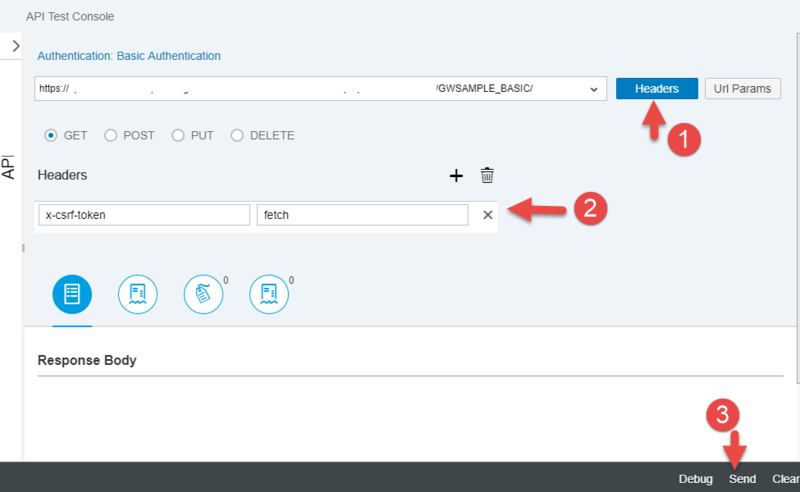 This blog is a continuation of the API Security best practices blog series and in the previous blog data masking of sensitive data in OData/REST APIs was covered. Maximum of 2 number of Array elements. Maximum container depth allowing a deep nesting of elements within an object to a maximum of 5 levels. Maximum of 50 properties within a JSON object. Maximum property name length of 50 characters. Maximum property string value of 500 characters. 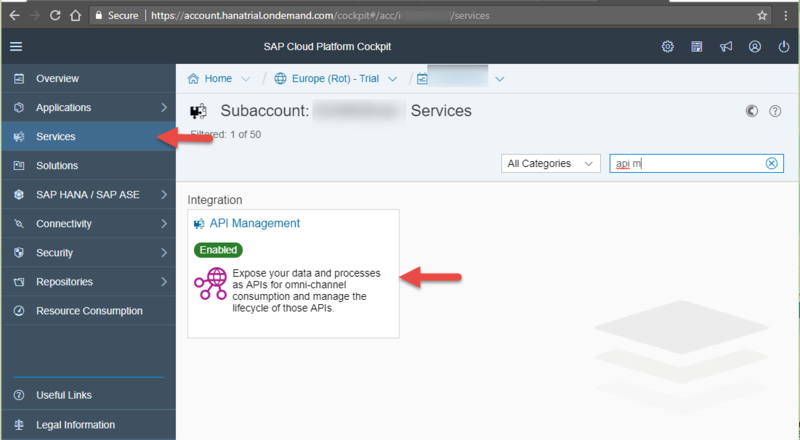 Refer Rate limit API calls blog to create an API Proxy to an OData API from SAP Gateway and applying an API Rate limit using Quota policy. 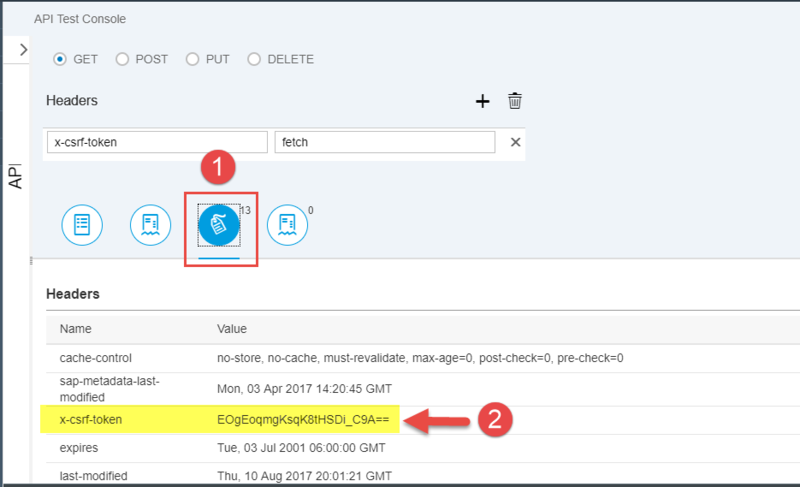 In this blog we would be extending the same to add the support for data masking for OData APIs. 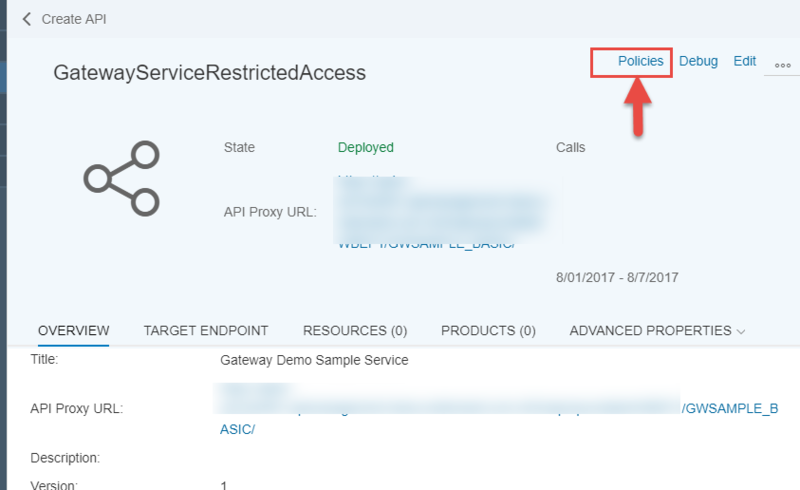 Click on the Edit button from the Policy designer and Select PreFlow from the ProxyEndPoint section and then click on the + button next to the JSON Threat Protection Policy available under the Security Policies segment. 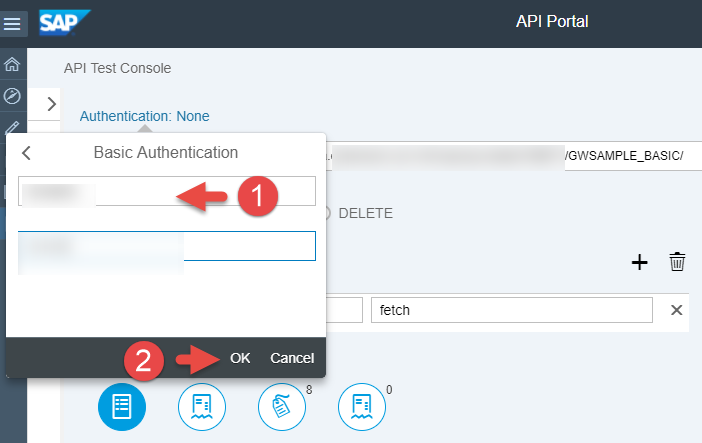 In the Create policy screen specify the policy name say mitigateJSONCodeInjection and then click on the Add button. 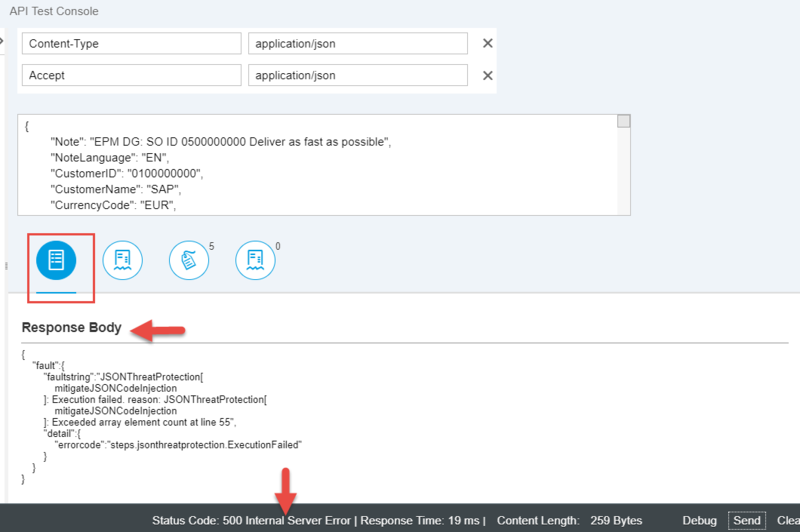 Select the newly added mitigateJSONCodeInjection policy then add the following policy snippet. Note that the values of JSON threat protection limit used in this blog is just a sample and a lower value has been set for ease of testing. 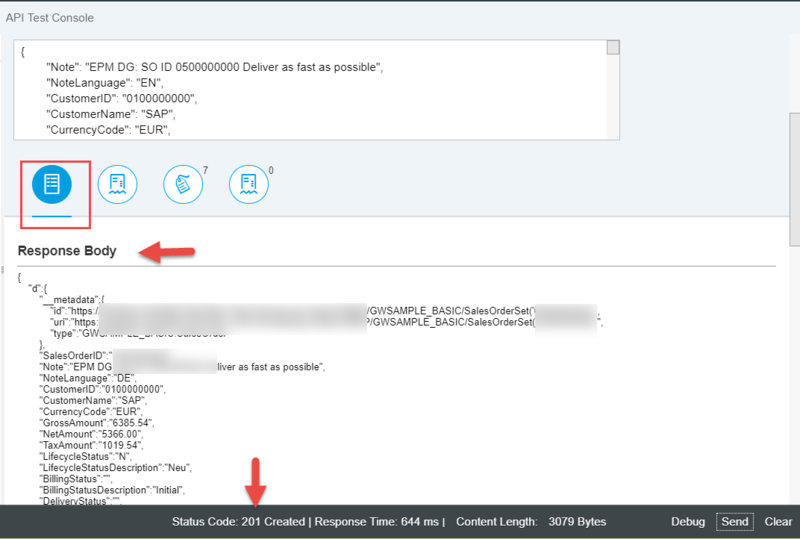 In the Condition String text box, enter the following snippet so that the JSON Threat protection policy is executed only for modifying request like POST/PUT. 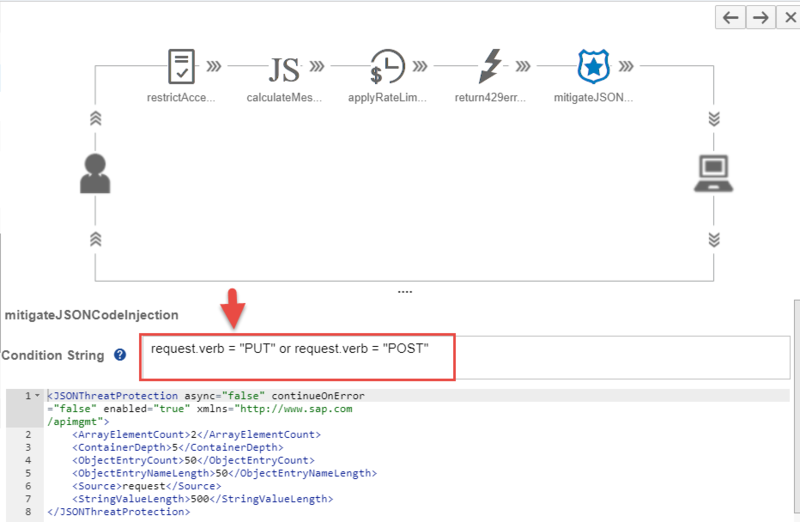 request.verb = "PUT" or request.verb = "POST"
With this we have successfully applied a JSON threat protection policy to minimize the risk posed by content-level attacks. 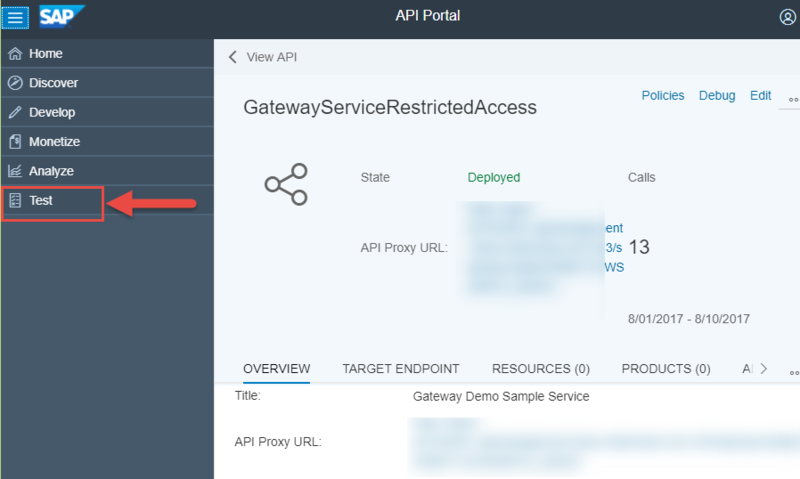 Since the JSON request is within the given limit defined in the JSON Threat Protection policy, the call would be successfully passed by the SAP API Management to the SAP Gateway system and a Sales order would be get created. 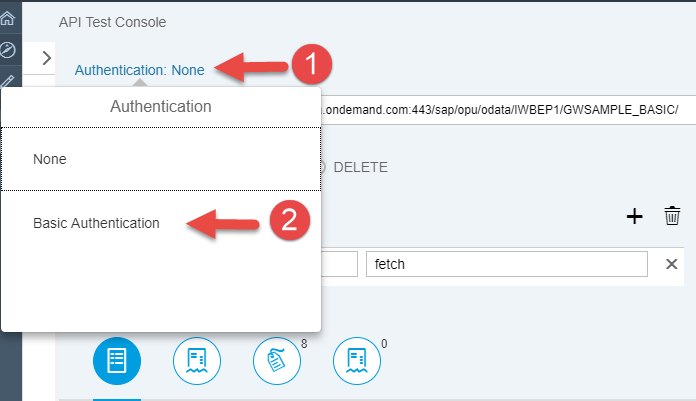 This time, the JSON threat protection limit would be violated and an error from the SAP API Management system would be received.